In 2007, the California Public Utilities Commission (CPUC) authorized the California Advanced Services Fund (CASF) to provide grants to bridge the “digital divide” in unserved and underserved areas of the state. In 2010, the CASF was expanded into three accounts, and one of those accounts became the “Rural and Urban Regional Broadband Consortia Account” whose intended purpose is to fund activities other than capital expenses, such as promoting broadband access and adoption. There are currently fourteen such consortiums throughout the state, incorporating anywhere from a single county (Los Angeles County) to eight counties (San Joaquin Valley). More information about the CASF grant program and these regional consortiums can be found on the CPUC website. The rural areas of all four counties have a great deal in common: low population density, agriculture, tourism, geographical challenges to broadband deployment, and the resulting urban/rural digital divide. Broadband connectivity does not stop at county lines, and coordinating county planning reduces capital expenses to deploy broadband. Regional broadband deployment also encourages network redundancy and improves reliability, which reduces broadband outages due to network damage. Regional cooperation also reduces costs to any one county by a sharing of resources, (such as GIS mapping, expertise, and information) and developing regional projects. 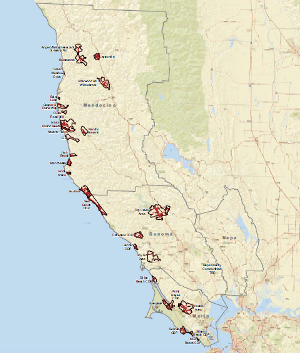 In 2014 and 2015 The California Public Utilities Commission (CPUC) awarded the North Bay/North Coast Broadband Consortium (NBNCBC) a two-year grant for $250,000 to help plan for telecommunications broadband deployment and services to unserved and underserved areas in Marin, Mendocino, Napa and Sonoma counties. This grant was augmented by a significant amount of in-kind and volunteer resources in each county. The consortium received CPUC funding again for 2017 and 2018 to continue their planning efforts. The mission of NBNCBC is to ensure the needs for broadband access and adoption are met in every corner of all four counties. NBNCBC’s top priority and immediate focus is on bringing broadband services to the unserved and underserved areas in our four counties. The leadership of NBNCBC involves an Oversight Committee and a Management Team. Mendocino County Supervisor Dan Hamburg and County Supervisors Dennis Rodoni (Marin), Diane Dillon (Napa) and Lynda Hopkins (Sonoma) comprise the current Oversight Committee. Trish Steel, Chair of the Broadband Alliance Mendocino County (BAMC) and Steve Dunnicliff are the Mendocino County liaison to the multi-county NBNCBC Management Team. NBNCBC has identified 30 priority areas (pdf) across the three counties of Marin, Mendocino and Sonoma that they have rated as unserved or underserved. NBNCBC is still working on identifying these areas in Napa County. These areas are defined by the CPUC as not having any services or services that do not meet the minimum broadband speeds of 6 Mbps download and 1.5 Mbps upload to every household. 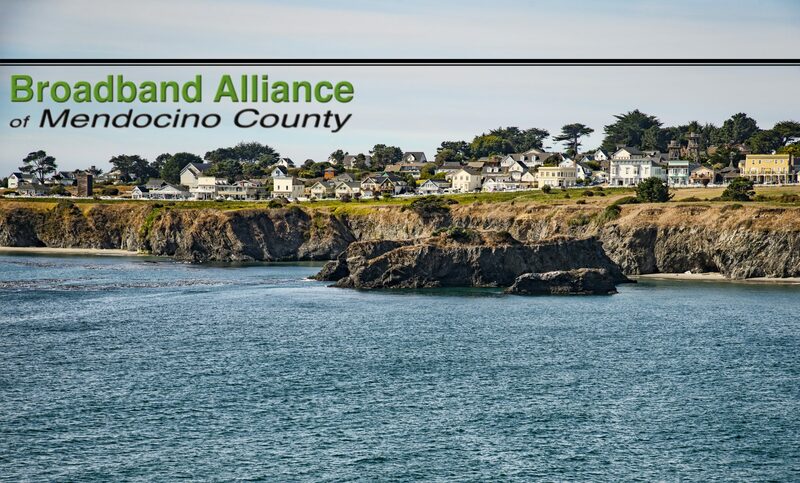 BAMC is a partnership of the Mendocino County Board of Supervisors, the Community Foundation of Mendocino County and the Economic Development and Financing Corporation of Mendocino County. For more information, please contact the Broadband Alliance of Mendocino County.